I'm over the moon to share with you one of the biggest projects I've worked on as a freelancer so far! 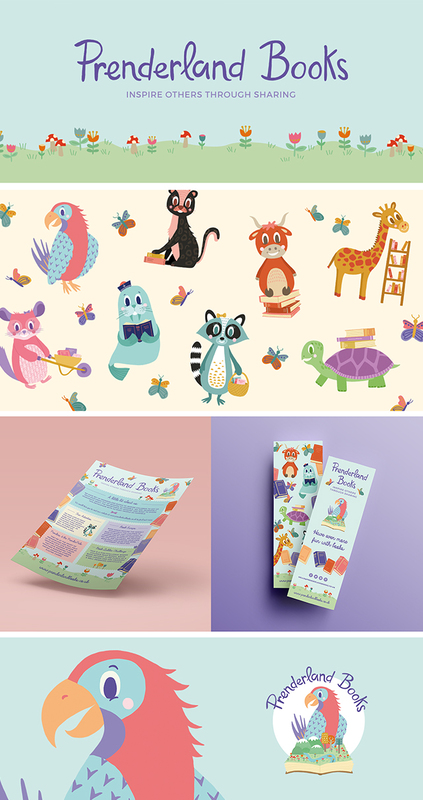 Prenderland Books is a project dedicated to help children read books in a fun, educational way. I loved working on the sweet little characters and their extraordinary world and the process has been very smooth the whole way through. April, my client, is the kindest person in the world and she made every step very easy and enjoyable. It's been a big achievement on a professional and personal level for me as I proved to myself that I could take on projects like this on my own and it's a step forward to one of my biggest dreams: Illustrating children's books. I'm so happy with how it turned out and I can't wait to see how well it will be received. Jason, under the banner of Victory Over All, also did a great job on the website! After working on his own website a few months ago, he realised that he learnt a lot and was definitely skilled enough to work on SquareSpace based websites for our clients and we're really happy with the result!